Eager faces and excited whispers fill the stage as students file onto stage, preparing to present their concert before their families, friends and teachers. 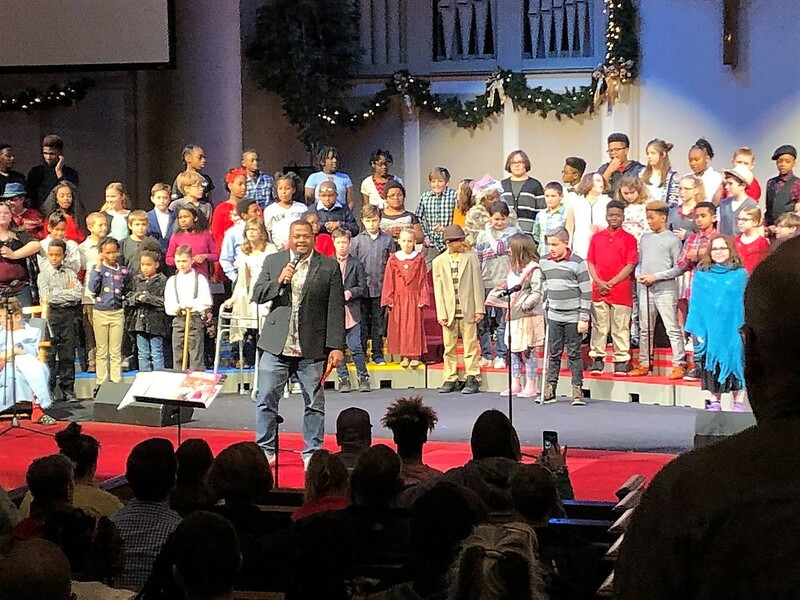 The spacious venue at Colonial Presbyterian Church is provided twice a year for student concerts performed by Boone Elementary’s students, allowing ample seating for all to attend and enjoy the children’s hard work. 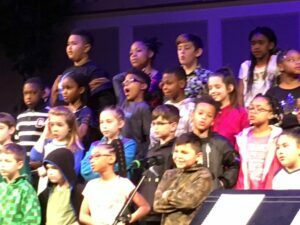 Each December the 4th and 5th graders perform their Winter Concert, while Spring brings the 2nd and 3rd graders for their Black History Month Concert. Colonial provides bussing of students on the morning of the concerts for rehearsals, rehearsal snacks and free facility usage with an audio technician. Boone’s partners engage with students in many ways, also providing Lead to Read volunteers, a Robotics Club, PBIS support, event volunteers, clothing closet donations, and BackSnack preparation. In addition, partners have provided staff appreciation meals and snacks, landscaping clean-up, and painting.